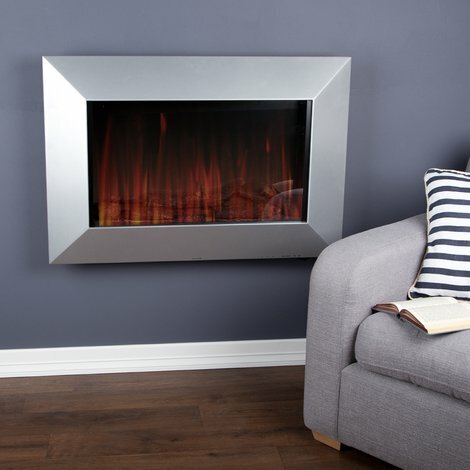 This wall hung electric feature fire would look great in any living room with its stylish satin silver design. It would make a stunning focal point in your room as well as providing much needed heat during the winter. This product uses a flame effect adding to the authentic style of a natural fire. This product is a 420 watt flame effect fire. The heat comes from the front of the fire. A remote control is included with this product for ease of use when relaxing. Dimensions: (H) 664mm x (W) 964mm x (D) 170mm. Note: This feature fire does not come with a mantle, hearth or back panel as they are not needed.